Following this crochet lace video tutorial you will be able to crochet a very simple double sided narrow crochet tape. 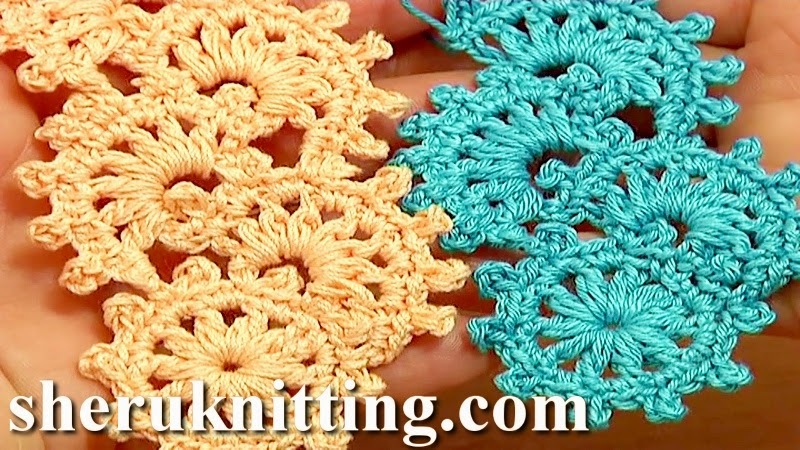 To begin the lace we crochet a small round motif of the puff stitches and a picot trim. Then we continue crocheting partial motifs one by one working in rows to make the tape longer. You will love crocheting this pattern, its simple and very fast. Thanks for watching!